Home › Travel Tips › Travel Basics › What To Pack For Your Gap Year. This ultimate guide on what to pack for your gap year will help guide you on everything you should, and shouldn’t be putting in your pack. Choosing what to pack when you go away is essential. One of the biggest mistakes many people make is to bring far too much stuff, as well as half their wardrobe and a ton of extra kit they don’t need just in case. I have been guilty of this myself more than once. Remember that you will be carrying this bag on your back for a long time and it will essentially be your home away from home for the next 2, 6 or 12 months, do you really need to bring so much stuff? It is important to remember that you can technically travel with a couple of changes of clothes and a toothbrush and nothing else. A lot of things you may need can either be bought or replenished as needed on the road, laundries are plentiful all over the world so you can easily do a wash once a week to keep your clothing weight down, or even buy a few extra t shirts or tops as you go along. I think it is a right of passage for any first timer backpacker to haggle in a market for a singlet with a beer logo on it! Chemists or Pharmacists are found in every city and major town for any lotions or potions you may find you need so you really don’t have to lug half of your local boots stock room about with you either, and you really don’t need that travel iron and kettle! Put them down! Believe me once you get out there you will be surprised how little you actually need, and remember, you may always want to bring a few things back too so it’s best to leave some room in your pack when you set off! This is only an example packing list and of course can be varied or modified depending on where you are going, what you are doing or personal need. Packing is a very individual and personal thing, and there is no definitive rule or law on the subject. Specialist equipment such as prescription diving masks, climbing gear, tents or other camping equipment are optional depending if you want to engage in those activities with your own kit, but on the whole are not really necessary. You have to balance out functional need over the practicality of lugging it about with you for 6 months or more, but remember most items like this can be bought or hired abroad as and when you need it. Travelling lightly, but still having everything you need is the key. This example packing list is sufficient for any trip from a month to a year, and all of these things on this list can fit easily into a small to average sized backpack (around 50 litres) with room to spare, and with essential items and electronics carried in a smaller daypack (which can be used for everyday use when abroad). Essential items and logistical kit. Tickets, insurance and any other travel documents. (It is a good idea to have photocopies stored separately in your main pack too, copies emailed to yourself or saved to a cloud drive so you can access and print them off at any time). Any youth/student cards, PADI diving certificate cards, TEFL qualifications you may have or need. Cash in the local currency (a week’s worth is often good to start off with), a small amount in GBP or USD for back up (to exchange as needed or pay for visas on arrival, many countries only accept USD at the border) plus any credit cards, debit cards, pre paid cards or travellers cheques you choose to travel with. Journal, diary or notepad plus pen. Camera, plus charger and maybe a spare battery. Phone, plus charger. (A modern smartphone can double as an alarm clock, camera, e reader, and many other devices too, which can save space and weight). A laptop or a tablet aren’t in any way a necessity but it is up to you if you decide you want to take one. Pacsafe (heavy, but essential steel net for your backpack). Padlock, preferably a combination lock or TSA approved lock. Security anti theft money belt for men. Security anti theft money belt for women. *Neither of these money belts are to be confused with the traditional bum bag or neck hanging money ‘belts’ which I do not recommend. Water To Go Filter Bottle. 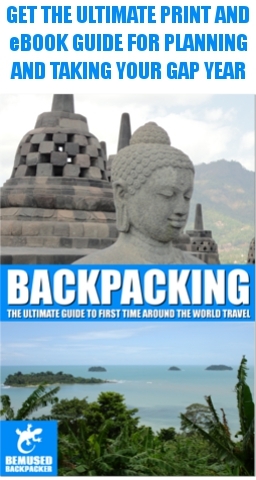 (Readers of Bemused Backpacker can get a 15% discount with the discount code BEMUSED15). Any personal prescriptions/medications you may need, including basic travel medication and anti malarial tablets. Glasses plus case, or contact lenses plus solution if needed. Small personal toiletry bag. (No need to carry more than the basics, these can easily and cheaply be replenished abroad). Small pack of handy wipes plus some small tissue packs. (Can always be bought cheaply abroad). Mosquito repellent. (I prefer 50% DEET, but natural non chemical alternatives are available if you prefer that). Sunscreen plus after sun moisturiser. Remember not to pack too much here. You only need enough clothes for a week or two maximum dependent on the actual length of your trip, but no more than that. There will be plenty of launderettes along the way and you can buy cheap T Shirts/vests/tops as needed in markets. several basic T shirts/tops including at least one long sleeved T shirt. A shirt/blouse that can be smart or casual as required. A pair of long trousers. A versatile zip off pair can double up as hiking trousers or shorts, and can be casual, or dressed up with a shirt for occasions that demand it. Trainers that can look smart with long trousers and also act as good hiking footwear, plus a pair of flip flops. Sarong (for women) or a shemagh or similar (for men). These are seriously versatile items that can be used to cover up when necessary. Waterproof/dustproof airtight bags to protect electronic equipment. Waterproof liners for your packs. Sleeping bag or sleep sheet. This page is not in any way sponsored. 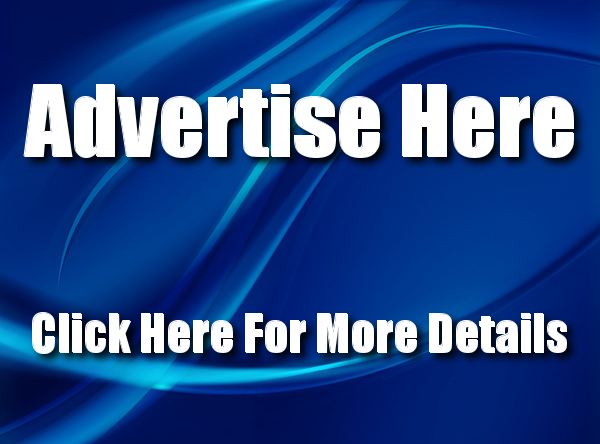 Although affiliate links are used throughout this page (at no extra cost to you if you use them) I received no compensation or incentive for mentioning these products in this article, they are simply products that I have used myself over a period of many years travelling and am happy to recommend them to you.